CRT is making plans for a second dry winter following the driest year on recent record during 2017, according to a Freedom of Information response. During the past year, the Environment Agency (EA) held regular meetings of a National Drought Group which included CRT, that made regular reports to Government. CRT’s National Hydrology Manager Adam Comerford reported to the EA Land Management Group for Prolonged Dry Weather Incident on 22nd August 2017 that there were concerns over next year about how quickly water resources would recover on the K&A. During 2017, CRT waterway managers held regular meetings to discuss water levels. CRT stated in a press briefing on 26th January 2018 that it was too early to tell whether ground water level recovery on the K&A will be adequate, so there is still a risk of water supply issues in 2018. Ground water levels on the K&A reached a critically low level during summer 2017. In September 2017, following a dry 2016-2017 winter, ground water resources as measured at the Environment Agency’s Rockley borehole in Wiltshire were lower than they were in November 2011, at the lowest point of the previous drought. 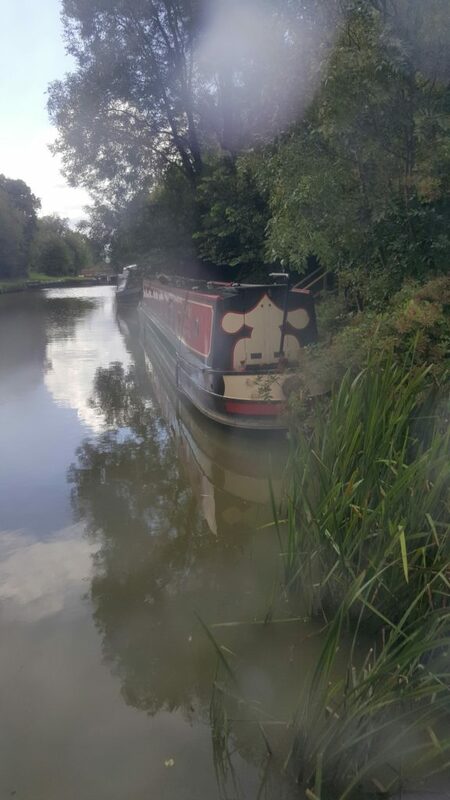 The K&A summit pound between Crofton and Wootton Rivers was frequently either restricted or closed completely last summer, and lock keepers on the Caen Hill flight told boaters that they were only just managing to keep the flight open over the summer and autumn. One lock keeper remarked that CRT’s new enforcement policy against boaters without home moorings was hindering water conservation, as boaters were being forced to travel up and down Caen Hill in order to complete the distance that CRT is unlawfully requiring them to travel to avoid having their licences restricted to 6 months and possibly losing their homes. The poor groundwater situation meant there was less water available to pump from Crofton. This meant that the K&A had to rely more on the abstraction of water from the River Avon near Bath and the chain of seven back pumps in the west to supply water to the K&A to the Summit pound and as far east as Hungerford. The CRT Board of Trustees Minutes of 22nd September 2017 noted that the water level on the River Avon at Bath was below normal but had not affected water abstraction for the K&A. However, on 3rd January 2018 CRT reported to the meeting of boating representatives on the CRT Council that water levels in CRT reservoirs had recovered and all water related restrictions had been lifted. A note of caution though: the levels in reservoirs are not necessarily indicative of ground water levels, which can take much longer to recover. In 2011, British Waterways was reprimanded by the EA for using the term “drought”, because only the EA has the power to define whether a water shortage amounts to a drought. Last year the EA and the Department for Environment, Food and Rural Affairs (DEFRA) had been extremely careful not to use the word “drought”. 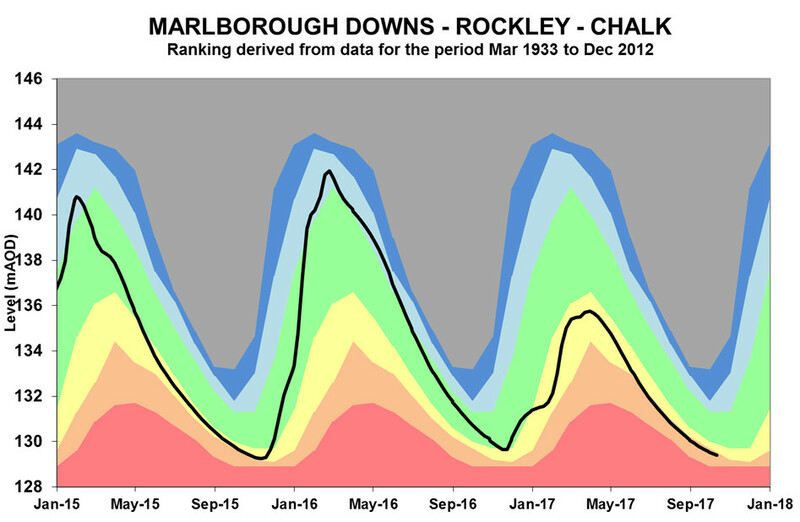 The diagram above shows ground water levels at the EA’s Rockley borehole in Wiltshire between 2015 and 2017. The black line shows the ground water level, clearly indicating that levels in 2017 were significantly lower than previous years. This entry was posted on Tuesday, February 27th, 2018 at 10:12 pm	and is filed under FOI Act requests. You can follow any responses to this entry through the RSS 2.0 feed. You can skip to the end and leave a response. Pinging is currently not allowed.